For six years I have worked at the National Fisheries Laboratory. To many we are known as the fish choppers of the Environment Agency, but this only touches the surface of the varied and important work we are involved with. I have a background in fisheries management and now much of my work is using information on fish health to provide good fisheries management advice and guidance. Our work is varied, but as soon as the weather starts to warm up the team is on full alert to deal with fish mortality investigations. 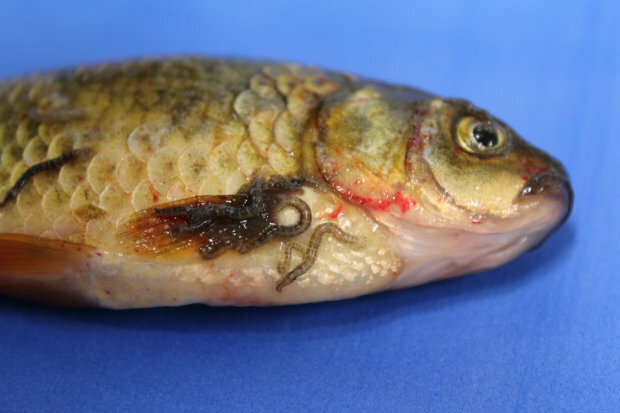 We investigate more than 100 fish mortality cases every year. Often it is assumed that heavy parasite loads or viruses are the main killers of the fish we examine, however the biggest contributor is often poor fisheries management. Heavily stocked fisheries, with little or no habitat, extreme angling pressure and poor water quality cause significant stress to fish and are often contributing factors in the mortality cases we investigate. If we suspect disease is contributing to the losses at a fishery, detailed diagnostic examinations are completed in our laboratory. 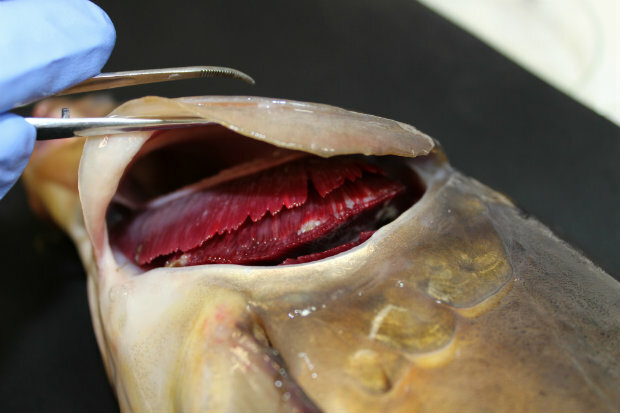 On the submitted fish we complete full parasitology examinations on all organs. We take bacteriology swabs of the kidney and any visible lesions that may be present. Tissues from certain organs are tested for a number of viruses. 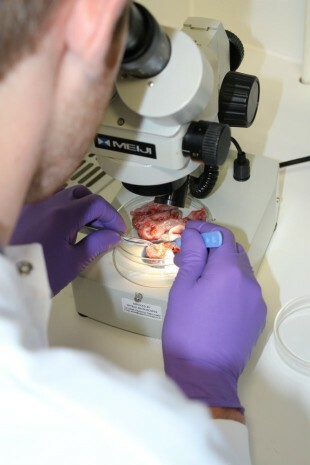 Histopathology is another important tool that we use and enables us to have a close up look at the organs at a cellular level. Combining the results and findings from our laboratory examinations, and by using information gained from the site by the local fisheries team, we can start to piece together what is causing the losses. We can then provide a huge amount of advice and guidance (for instance on fish parasites, viruses and general good fisheries management) that enables us to better inform anglers, angling clubs and fishery owners to help to aid recovery of sites and stop such mortality events from happening in the future.